This certificate has been next to impossible for us to find. The certificate is in excellent condition and it has not been cancelled. This is one Dot Com you won't want to miss. 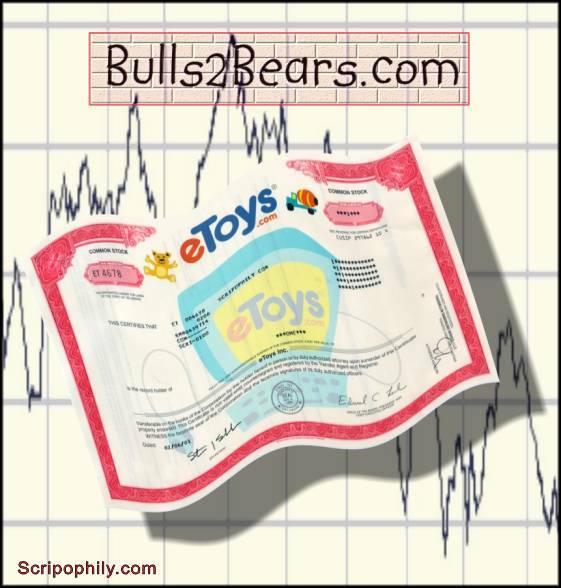 These certificates are representative of an era similar to the gold rush of 100 years ago. 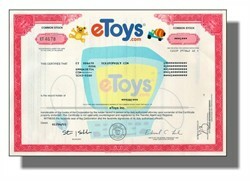 There will be no more of these same type of certificates issued due to eToys' bankruptcy, delisting and the closure of the company's website and business. This is a terrific collectible that you won't want to miss!! !.